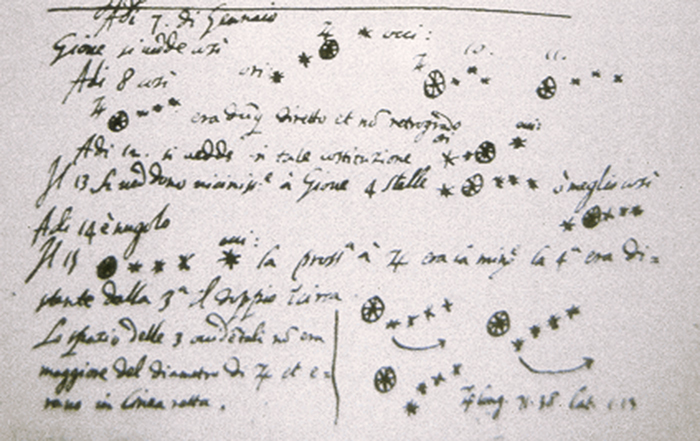 On this night in 1610 the Pisan astronomer Galileo Galilei looked up at a bright Jupiter at opposition through his handmade telescope and noted three little “stars” next to it, piquing his natural scientific curiosity. Further observations over the next few nights showed that the planet wasn’t moving relative to the little “stars” as it would have if they were indeed background stars. In fact the smaller objects (of which he soon saw four) were moving along with Jupiter, each in its own little path. He realized that the little objects weren’t stars at all but rather moons orbiting the giant planet—and, most importantly, not the Earth. This revelation helped change our entire view of the Solar System… and caused no end of trouble for Galileo as the Church didn’t appreciate a restructuring of their conveniently Earth-centered Universe. But it also opened the door for later discoveries of many more moons around other planets. As a result of his research and publications regarding the observed motions of bodies in the Solar System, Galileo was sentenced as a heretic by the Inquisition in Rome and spent the last 9 years of his life under house arrest. Still, his legacy of observation and science over dogma and established belief lives on to this day… in fact, if you go outside on a clear night now you can see a brightly shining Jupiter in the eastern sky, just as Galileo did over 400 years ago. Take even a small telescope or pair of binoculars and you will easily see its four largest moons as pinpoints of light beside it. 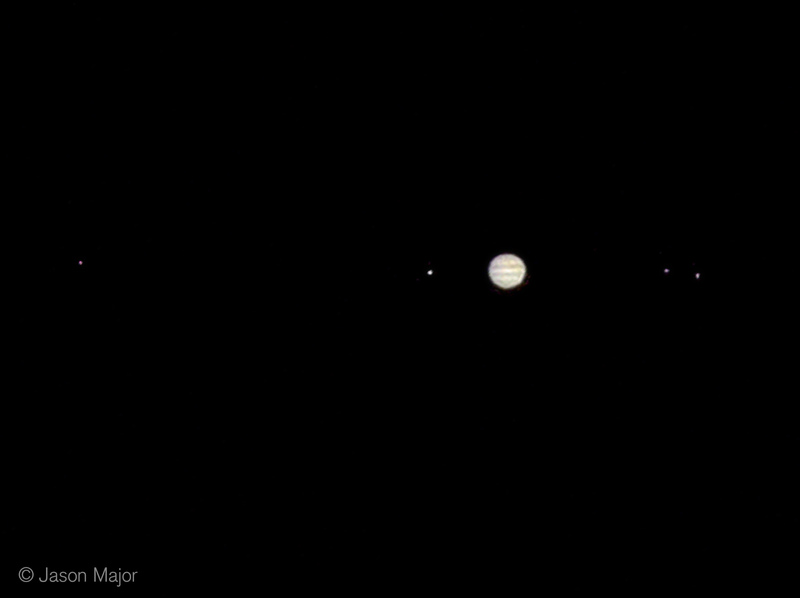 Today, Jupiter is known to have at least 69 moons. Thanks to Galileo and others like him, we now know what those are, and that there are countless other worlds and moons out there like them, just waiting for discovery. Read more about Galileo here.